Saba Karazanashvili will be announcing the results from Belarus at this year’s Junior Eurovision Song Contest. Belarusian broadcaster TVR has announced that Saba Karazanashvili will be announcing the voting results from Belarus at Junior Eurovision 2017. Saba is a resident of Tbilisi with Belarusian roots, and he even sings in four languages. His mother also works in the embassy in Georgia. Read more about the voting here. 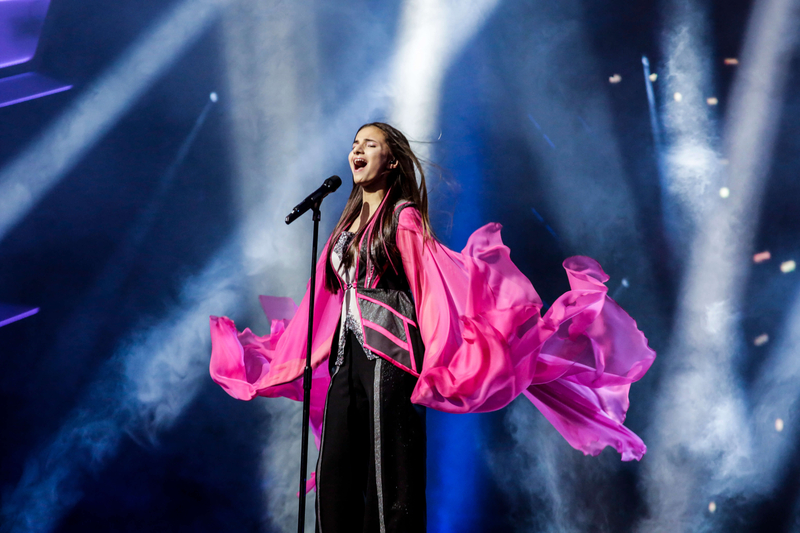 Belarusian participant Helena Meraai had her first rehearsal yesterday, where she sang her song “I Am The One”. Helena was alone on stage and stood on a platform with the microphone stand throughout the performance. The lights are used a lot in this performance, and the LED screen behind her shows various different patterns. The performance is very pink and dark blue, with the lighting, LED and Helena’s long silk scarf that she wears throughout. Read more about how the first rehearsals went here and here.